This mod requires the JecsTools Library in order to work. Please, ensure you have it installed and on a higher position in the mods list. 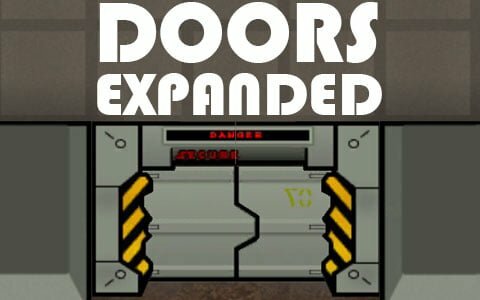 The Doors Expanded Mod adds new types and sizes of doors to RimWorld. Doors (1×2) – Double sized doors. Doors (1×3) – Triple sized doors. Curtains (Tribal) – Fragile, flammible, and made of fabric, these curtains provide fast movement through buildings. Jail Doors – Strong doors for keeping prisoners inside. Gates – Stylized doors perfect for meeting pre-industrial needs. Blast Doors – Incredibly large and secure doors used to keep greater threats at bay. Comissioned by CMDR Toss Antilles. It is no secret that RimWorld has little variety when it comes to doors. 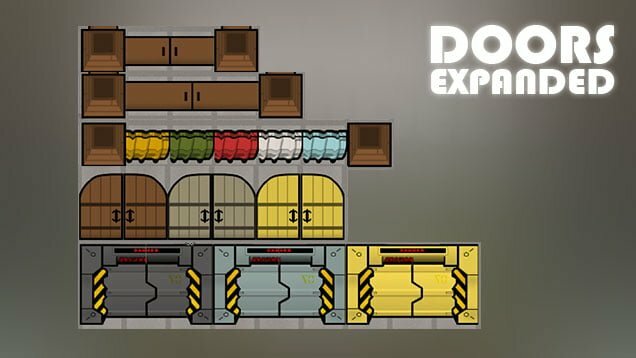 The Doors Expanded Mod adds new a quite original doors to decorate your base, even reinforced automatic doors for reinforced double walls.